Elle Wilks, 15 years old from Newport, is an Inspiring Teen who suffers with OCD Anxiety, which she lives with every day. OCD Anxiety effects many people both young and old. It might be that Elle needs to walk on the left side of a pavement instead of the right, and if she doesn’t complete the action something bad will happen. Another form might be the need to turn a light switch on and off several times, or even move an item. It’s hard for Elle to talk about and share with people that she has OCD Anxiety but thought by sharing this and showing that you can do anything you want, will help people who are in the same situation. Elle wants to prove that whether you have OCD, Mind Issues or have a disability you can still do everything and anything. Make it possible. Where there’s a will, there’s a way and if you have enough will power to fight, you can succeed in anything if you push yourself. Elle wants to prove that she is reaching for her dreams and has won a place in the prestigious final of Miss Teen Galaxy Wales 2016, which is one of the top 5 International Pageants, winning the title of Miss Teen Galaxy Newport 2016. This means that she will be competing in the grand final in February with girls from all over the country! 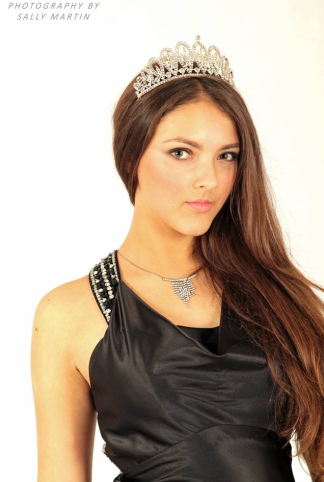 In the run up to compete for Miss Teen Galaxy Wales 2016, in February Elle is undergoing intense pageantry preps including; dress hunting, boot camp sessions and venturing into the community making appearances at events, youth groups and charity gatherings. Within the Galaxy pageant there are over 90 girls competing throughout all age categories. The UK finals are held in the Park Hall Hotel in Lancashire where 9 lucky queens will be crowned and will travel to the USA with contestants from all over the world, to compete in the Miss Galaxy International final, which is being held in the summer of 2016. The international final is a once in a lifetime opportunity and will be a truly amazing experience. 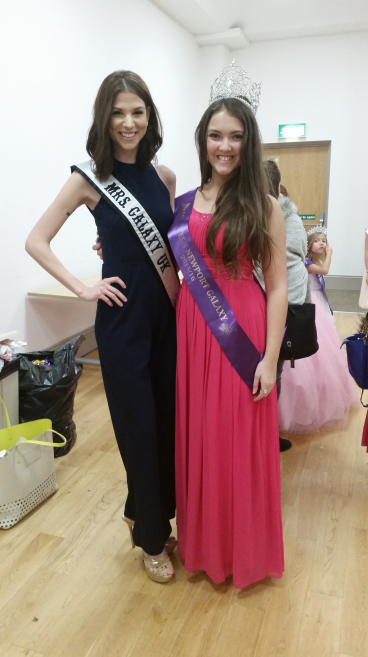 To find out more about the pageant you can visit their website at http://www.galaxypageantsuk.com. “Pageantry is a subject that society stereotype along with many other things. Many people expect pageants to be false and over the top but they are nothing of the sort. They help girls and women to express themselves and gain so much. We do it because we love it, no other reasons. Pageantry opens you up to so many opportunities, it opens your mind to new things and believing in yourself. It’s not just for girls, but guys too. Just give it a try, find that inner drive whether it’s for pageants or anything you want to achieve and let yourself go. Commit yourself to what you believe in and stick at it. The more you push yourself to do the more success will come your way. Keep trying and never give up as cheesy as this may sound,” Quotes Elle. In January Elle will be holding an empowerment course for young teens aged 11 to 16 which involves inspirational speakers, activities and so much more! If you would like to get involved please go to FB:Ellewilksmissteennewportgalaxy for more information.